Wonderware SmartGlance now supports Alert badge counts, iPad refresh for 2016 released! In the last two weeks we've released two major updates for Wonderware SmartGlance that I wanted to highlight. 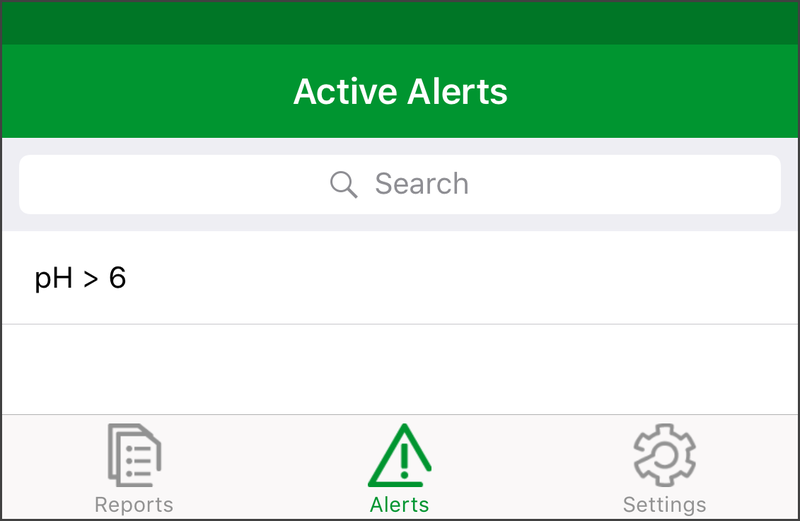 For our iPhone and iPad apps, Wonderware SmartGlance now displays a new alert badge counter that allows customers to quickly glance at the number of active alerts triggered against SmartGlance reports. The coveted "home screen menu bar"
with SmartGlance active alert badge count. 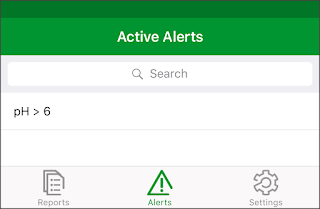 Whenever one or more alert conditions have been triggered, either by tag or tabular reports, the alert badge count of triggered alerts appears and enumerates the number of active alerts. Note: For tabular reports, multiple rows or columns may satisfy an alert condition however the badge count only increments once per active alert. The alert badge counter is updated anytime you interact with the SmartGlance app or receive a new alert condition. If you explicitly sign out of the app, the badge counter stops updating because there is no longer a user profile associated to the app to monitor alerts. If you receive an alert but do not receive any new alerts, nor interact with the app such as by performing a data refresh, then the badge counter does not increment. This is on purpose to let you know that at some time in the past - since the app was last used - an alert occurred. The number of alerts shown in the alert badge counter matches exactly with the number of listed active alerts in the "Alerts" shortcut menu option in the SmartGlance app. The second major update was the release of the newly refreshed SmartGlance app for iPad for 2016! The newly refreshed and re-released SmartGlance for iPad app. For all of our Wonderware SmartGlance customers that have an iPad, I highly encourage you to download the new iPad app. Note: If you already had SmartGlance downloaded on your iPad, please do a search for "Wonderware SmartGlance" in the Apple iTunes app store to look for the new app as the previous version will not immediately move forward. The new iPad app takes advantage of the larger screen sizes and supports all the variations of the iPad sizes from iPad mini to iPad Pro. The SmartGlance iPad app in landscape mode with multiple trends. Here we can take advantage of a wider landscape mode for iPad where it is often easier to plot multiple tags at once to contrast and compare. That's all for now. Subscribe to this blog for future updates.